Do you know the bacteria H. pylori? Well, H. pylori may already know you. 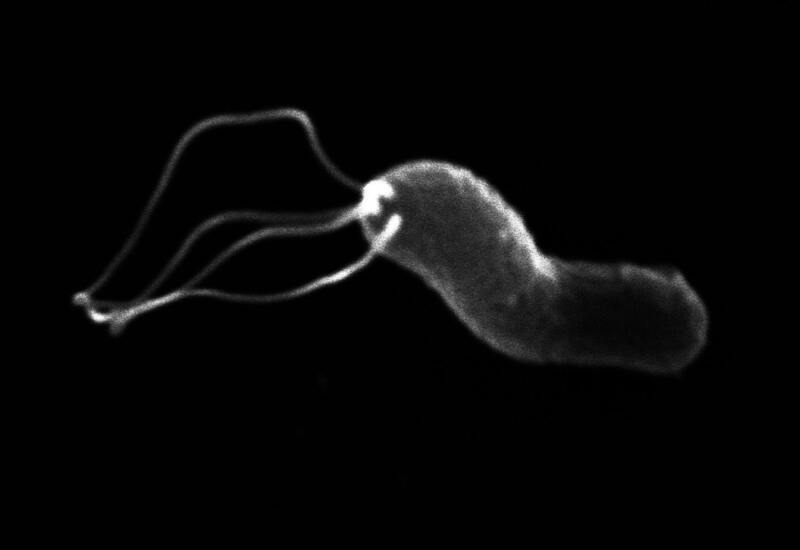 H. pylori, a bacterium that lives in the mucus of the stomach and tolerates acid. Electron micrograph courtesy of Manuel Amieva, Stanford University. H. pylori can be found in the stomach of 30-40 percent of people in the US and 70 percent or more of people in developing regions. Indeed, humans have a long-standing and intimate relationship with these bacteria. Researchers believe Helicobacter pylori (H. pylori for short) and humans have been living together for more than 50,000 years! While most people will go their entire lives without knowing they carry these bacteria, about 15 percent of those harboring H. pylori will develop stomach problems. Thanks to Nobel Prize-winning research in the 1980s, H. pylori is now known to be linked to serious stomach diseases including gastritis, peptic ulcers and stomach cancer. When it does cause problems, treatment for H. pylori includes the use of a combination of antibiotics and drugs called proton pump inhibitors (PPIs). Common PPIs include Prilosec ® and Prevacid ®. PPIs reduce the stomach’s acidity, which lures H. pylori out from their hiding places in the stomach’s lining. Once in the stomach cavity, these bacteria can be effectively eradicated with antibiotics. Clinical research over the past decade has shown that people who have certain genetic mutations metabolize or break down PPIs more slowly. These people are exposed to higher levels of the PPI drugs, allowing for better stomach acid reduction and improved H. pylori treatment success. The effectiveness of PPIs at blocking stomach acid production depends on their drug levels in the blood. An enzyme in the liver named CYP2C19 influences how quickly PPIs are metabolized or broken down so that they can be cleared from the body. People with the “extensive metabolizer” genotype rapidly metabolize PPIs. On the other hand, people with the “poor metabolizer” genotype metabolize PPIs more slowly. These “poor metabolizers” have a higher success rate for treating H. pylori, since slower PPI metabolism leads to lower stomach acid levels for longer periods of time.